Yes, are clubs available and gym also Main festivals are independence days and republic days celebration and annual day celebration College life is good. About the hostel there is no hostel in they as it is just a part of IP University in the main University there is college Wifi is available computer lab and library are there which is a great help for students Food is available in college canteen which is good and tasty. 9:00 am to 4:00 pm class timing Method of teaching is good. INR 50000 Good and toppers students get a scholarship every year If loans can we took easily. Yes with reliance communication I had internship Main company like Accenture and IBM visit INR 25000 per month is the first salary for freshers. Eligibility criteria are 12th pass and minimum 50 percent marks CET is entrance examination taken Cut off are set off based on the availability of seats and they are two shifts. There were few societies and clubs in the campus. There were mainly cultural festival, tech festival, sports festivals. In general, everything was good. No hostel in the college. No pgs at all near college if there was any then it was normally paid. Food was good and the prices were also not so high. The quality of infrastructure was very good, there was air-conditioned classrooms, labs, libraries, etc. There were regular classes every day from 8:30 am to 2:30 pm. and one day is for only presentations, assignments, etc. The method of teaching was good. The overall experience of college was good and i enjoyed it. My fees were around INR 75000 yearly. The scholarship option was only for sc/st/obc and minorities by the govt. not from the college. I don't think that any of the students get it. I went to few companies like Flipkart, Anand Rathi, etc. for the internships from college. Some of them gave me the stipend but some didn't. The average salary package is between INR2 lacs p.a to INR 2.6 lakhs p.a. The highest package of my batch was around 4 lakhs. 90% students of my batch were placed. The alumni network is good and the alumni were so supportive of us. There was CET exam for the admissions in which top I needed to score below 5000 ranks for cutoff. The Institutcelebrateste various festivals like, Christmas, diwali, and raksha bandhan too. There is no hostels facility. The college has a canteen and the prices are fair. for example petty for INR 10, cool drink as per mrp. I again repeat they have spent a lot on infrastructure. Classes and labs are in great condition. there are 2 batches morning 9:30 am to 2:30 pm and 2:30 pm to 7:30 pm. Method of teaching is good and they have done a good job on infrastructure also. Overall experience was awesome. But the college is small. My fees is INR 97,480 per year + exam fees + freshers party charges. They provide a partial scholarship to the students belong to below poverty line category, and bright students also get scholarship about 2% of the child got the scholarship. Don't know about loans option. Because I made cash payment. *I have done internship from Bharat Heavy Electronics, refered by institute Higest placement packages are - INR 4-5 lacs per annum and average package is INR 2.5lacs /annum. The institute offers the bachelor in business administration course * You must clear 12th from any recognized board as a commerce student. * one must have to give CET of IP university for BBA *you can get admission if your rank is below 12000 (approx). There are several societies in college like cultural society, event management committee, internship cell, sports team, etc. Tech sapiens, management sapiens, fiesta, internet, etc are technology fest, management fest, cultural fest, internship fair respectively are the several festivals of college. I like the college and I'm having a good time. College doesn't provide hostel facility but there are so many PGs around the college at affordable rates. There is a good canteen in the college campus with reasonable rates. Every classroom has projector and Wi-Fi is on every floor of the campus. Timings of morning batch are from 8.30 A.M to 2.30 P.M and evening batch is from 10.30 A.M to 4.30P.M. Teachers are polite and understanding.The quality of teaching is very good. We have presentation every alternate Mondays. There are internals and externals. The ambiance of the college is really good. BBA fees per year are different for all three years. Fees decrease every year. The first year fee is INR 91900 and the second year fee is INR 86800 and the third year fee is INR 69000. INTERNWARE-the internship cell of college is found in November 2017. There is an annual internship fair on 24th Feb 2018. Several big companies like Force Motors, TOI, etc provide internships to the students in almost all fields like IT, management, finance, content writing, sales, etc. Nexa, Genpact, Samsung etc visit IITM for placement purpose. One has to clear IPU CET. It is the exam which makes you eligible for the admission in IITM, Janakpuri. Candidate must have passed the 12th from the recognized institute to get admission in this college. No separate entrance exam is conducted.The cutoff rank must be below 12,000. Many festivals and functions are organized by the college. The life in college, in general, is good. There are no hostels or PGs available nearby our college. Quality of classrooms and library is fine. My daily routine is good, classes start at the right time daily. Our course fee is INR 72,000 (approx) per annum. Loans can be availed from any bank as it is not a big deal and most important, I don't think that this college provides scholarships. Campus placements are good in our college. Many students get selected in big and reputed companies. The minimum eligibility criteria is above 50% marks in the 12th class. The quality and method of teaching are good. The overall experience in college was good. We have well-experienced faculties. My course fee is INR 72,062 per annum. No scholarships are available. The educational loan can be availed from the nationalized banks. Many Finance and Marketing companies hire our students with an average salary of 3-4 lakh per annum. We have good alumni network. Candidate must clear the CET exam and must have passed the 12th with minimum of 50% marks from the recognized institute to get admission in this college. Minimum 80% cutoff mark is required. All the fests are conducted every year. There are no hostel facilities in the college and the infrastructure of the college is good. The daily routine is from 9 am to 3 pm and the quality of teaching is good. The course fee is INR 55000 per year and the scholarships are not provided by the college, the loans are not required. I got an internship with the stipend of INR 3500 per month and all the companies from finance, marketing, sales and IT come for the placements and the minimum package was INR 8 lakhs. The eligibility is a minimum of 60% is required and must have appeared for CET entrance exam, the cut off was under 6000 rank. The main festivals celebrated in Institute of Information Technology & Management are - annual day, freshers party, fest, sports meet and cultural dance. The life is good and one can learn more. There is no hostel facility at Institute of Information Technology & Management. Well, there are pgs near the campus and if someone needs a separate room that's also available. The PGs rent is from INR 4500-5000 per month. The canteen and the cafeteria provide delicious food of best quality. The classrooms are of average quality but the labs and libraries are good. The college timings are from 9:30 am -2:30 pm. The faculty is very good and they have got great methods to teach. 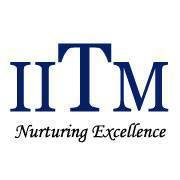 The overall experience is very good at Institute of Information Technology & Management.